Minimum quantity for "Australia's Own Almond Milk 1 Litre" is 1.00. Minimum quantity for "Pure Harvest Coco Quench 1L Coconut milk" is 1.00. 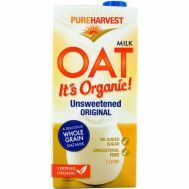 Minimum quantity for "Pure Harvest Oat Milk 1 Litre Whole Grain" is 1.00.